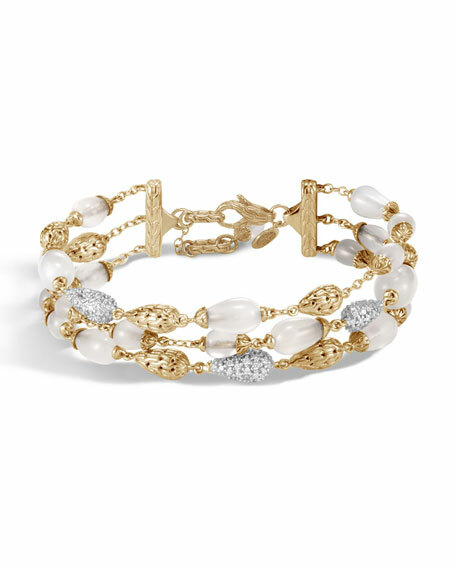 John Hardy multi-row bracelet from the Classic Chain Collection. Polished 18-karat yellow gold hardware with carved chain motif. Mixed gold, white moonstone and diamond droplet stations. 0.6 total diamond carat weight. For in-store inquiries, use sku #2539066.